We left Timbuktu this morning before first light in the belief that bandits are not early risers. All day we endured the same bumpy track whence we came two days before. Before leaving the city we picked up a Tuareg hitchhiker. Someone joked we'd have a translator in case of attack. The Tuareg are fierce desert nomads. 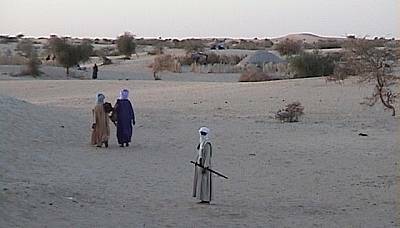 Not many Westerners know of the conflict between the lighter-skinned Tuareg and the settled black majority that comprises most of Mali's population. In the early 1990's the Tuareg revolted around Timbuktu, demanding their own independent state, which they called Azawad. 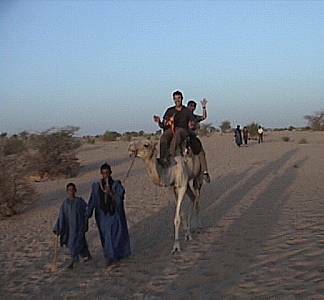 The Tuareg rebels struck on camels or, as a sign of modern influence, in Toyota Land Cruisers and then retreated into the desert. These separatists dreamed of recreating the past when the Tuareg ruled the Timbuktu region and kept black slaves. In a racial situation analogous to South Africa, the black majority cannot be kept from power. 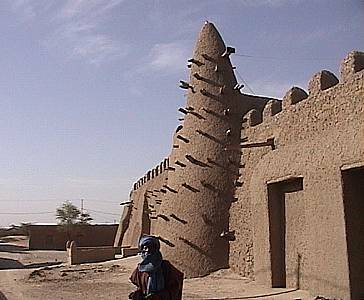 The Malian army retaliated and both sides accused each other of committing atrocities. Eventually the government suppressed most rebellious factions but law and order maintains a tenuous hold. If bandits attack in the desert, no one comes to help. We were lucky. At the end of a full day's offroad driving, we arrived in Sevare, the nearest large town to Timbuktu, with only bruised backsides. 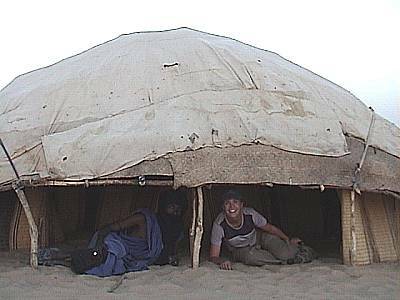 We joined the rest of our travel group (eight people had stayed behind, deciding that the risks were too great to visit Timbuktu) and shared our experiences. The Tuaregs assure us that they are peaceful people. These swords, they say, are used to cut sandwiches and butter bread. Besides building in 101 ways with mud, the locals can really build gorgeous doors. 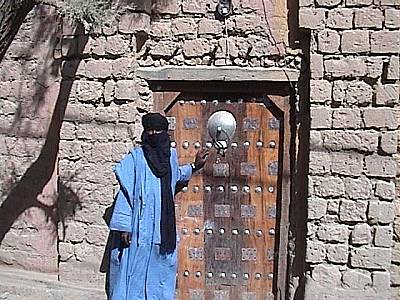 Doorways struck our eyes as the most aesthetic aspect of Timbuktu's architecture. Ride a desert Porsche. Camels are a sign of wealth out here.